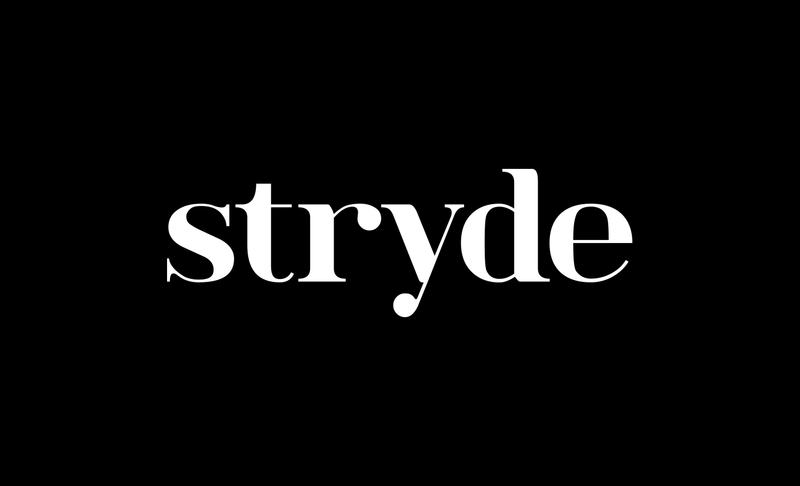 "Stryde recently underwent a sizeable growth spurt and commissioned zeroG to manage the marketing, advertising and PR for the company. Nick and his team simultaneously worked on a number of projects including the design and development of a new E-commerce website and a full marketing campaign. 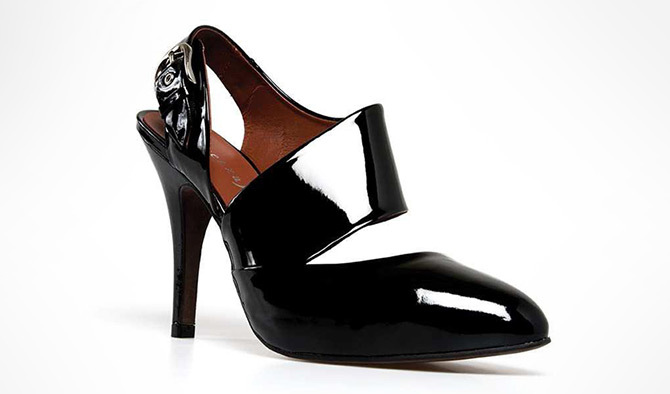 The quality of work was outstanding and all projects were delivered on time and on budget." 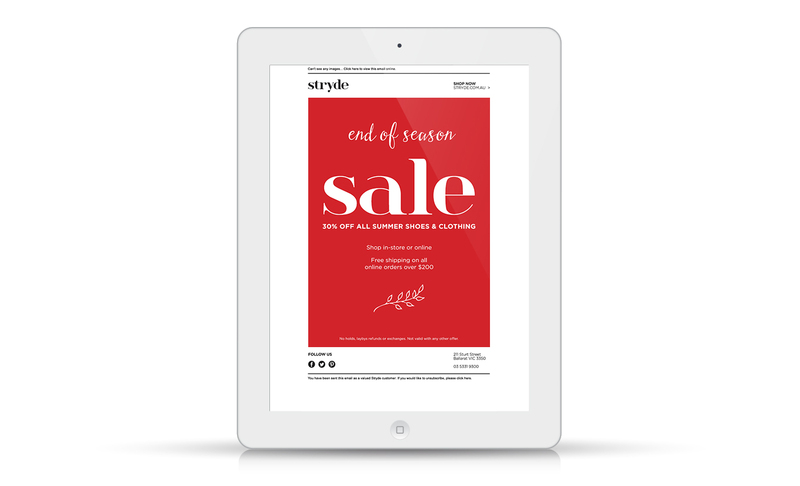 Stryde is a boutique regional store, specialising in European footwear and accessories. 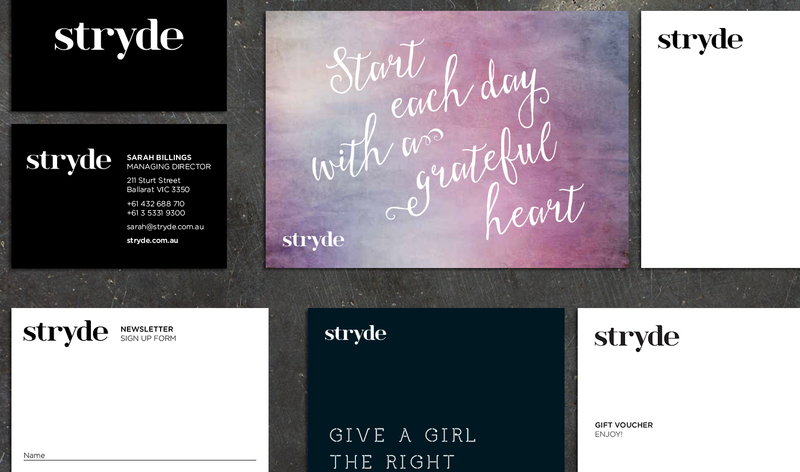 Stryde approached us with the aim of developing a full Magento e-commerce website along with a supporting promotional campaign. 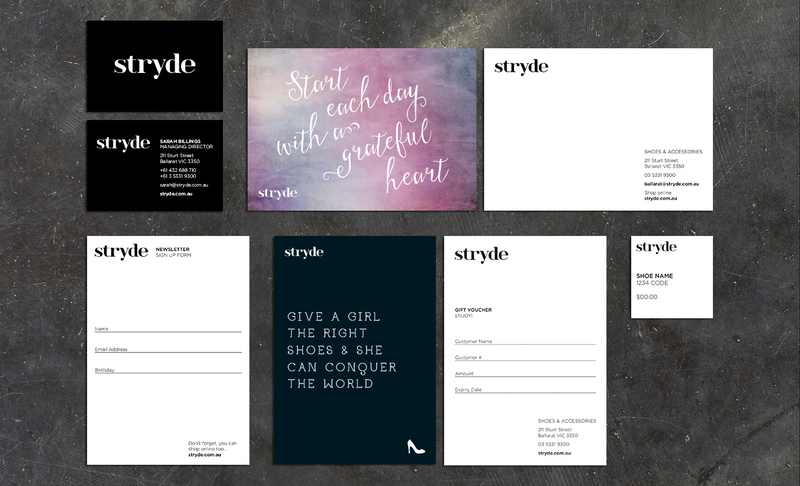 With a strong existing brand, it was important to keep the essence of Stryde in the new website and, after a series of initial meetings and a visit to the stores, we hit the ground running with an overwhelmingly positive response to our initial designs. 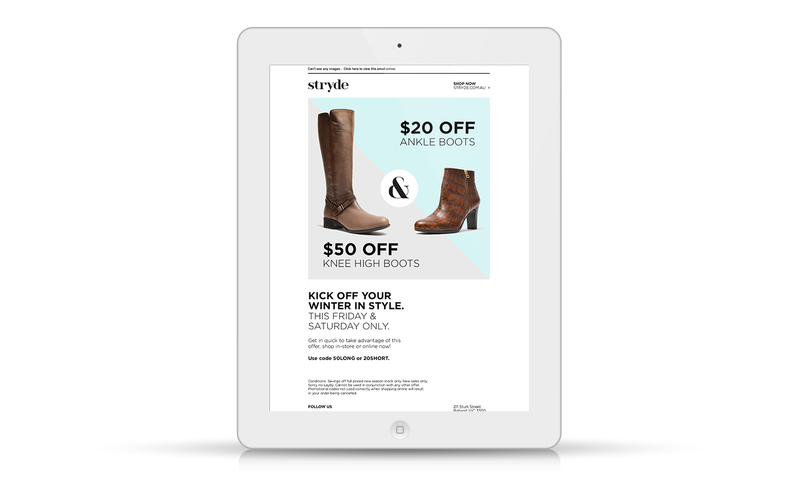 We developed a Magento shopping cart and tailored the design and functionality to keep the Stryde brand intact and deliver a professional result. Call or email us to discuss how we can help your small business thrive in a competitive market.